What little boy doesn't want to tame his own dragon? 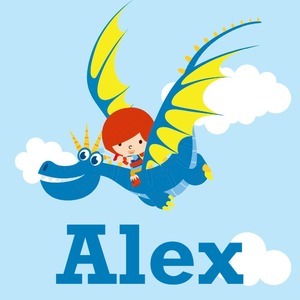 Open his imagination with this adorable design showing your little man flying through a beautiful blue cloudy sky on his own dragon. This design offers customization by picking the hair color. Also, add that special touch by customizing the design with your little guy's name.